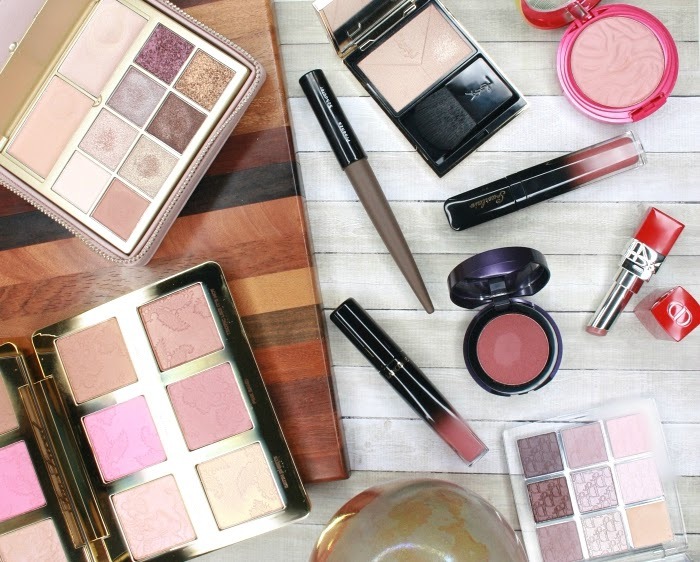 Let's get back to Tarte's mystical Energy Noir fall collection today! 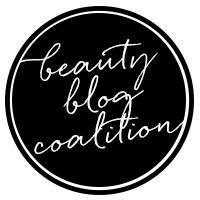 After the palette that I reviewed a few weeks ago, I want to talk to you about the limited edition lip crayon that I also bought from this collection. 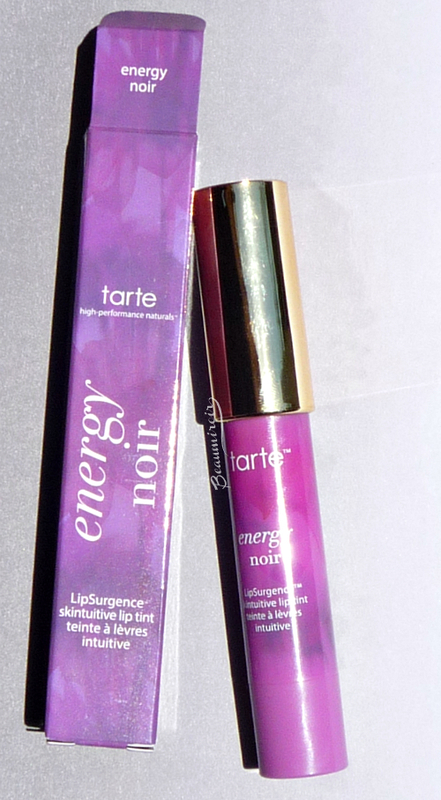 The Energy Noir LipSurgence Skintuitive Lip Tint (wanna throw another word in this product name Tarte? No, you sure it's enough?) is one of those lip balms that's supposed to react with your skin to create a custom color, in this case a purple/berry/plum depending on the pH of your lips. You remember that the Energy Noir Palette was a bit of a let down, so is the Lip Tint a better choice in this collection? - The crayon packaging is great: easy to use, twist up so you don't have to sharpen, safe to carry around in your purse, and with its cloudy purple body it's really pretty. - It literally melts on the lips, feeling like a thin balm, and it glides very well. 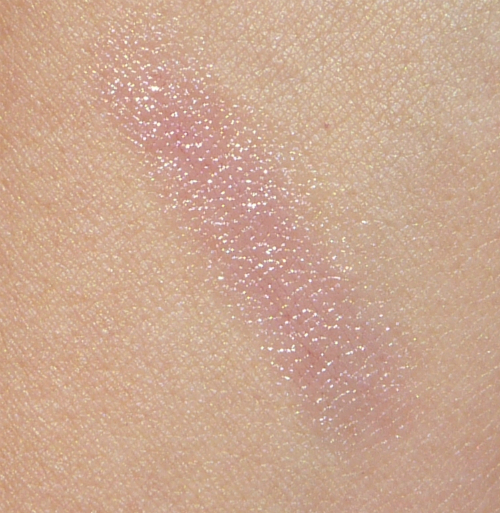 - The sheer color and moderately shiny finish are perfect if you want a very subtle, barely there look. - This Lip Tint has a minty scent and flavor. I know many people enjoy that but I hate it when lip products are mint flavored. It's not too overwhelming in this case so I can deal with it (it doesn't spoil the taste of food like some bareMinerals glosses do). Besides, the peppermint oil used to scent the product may be 100% natural, but it's a strong irritant - bad news if you have dry or sensitive lips. 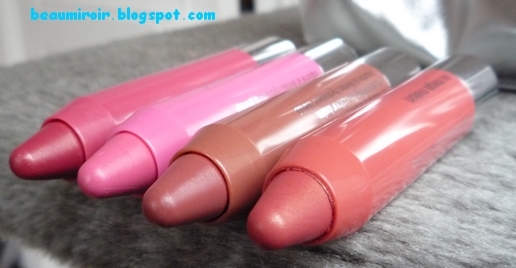 - It clings to flaky areas on the lips pretty badly, and I find it rather drying overall. It may feel like a balm but it doesn't have any hydrating properties for me! - It's really, really sheer. I think Lip Tint is an accurate description only if you understand "tint" as a transparent watercolor type of thing. 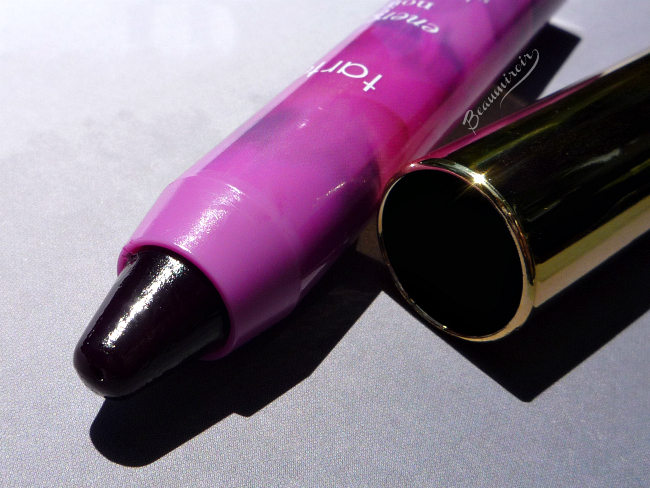 If you're looking for a bold or vampy plum lipstick for fall, this is not it, don't be fooled by how dark it looks in the tube. 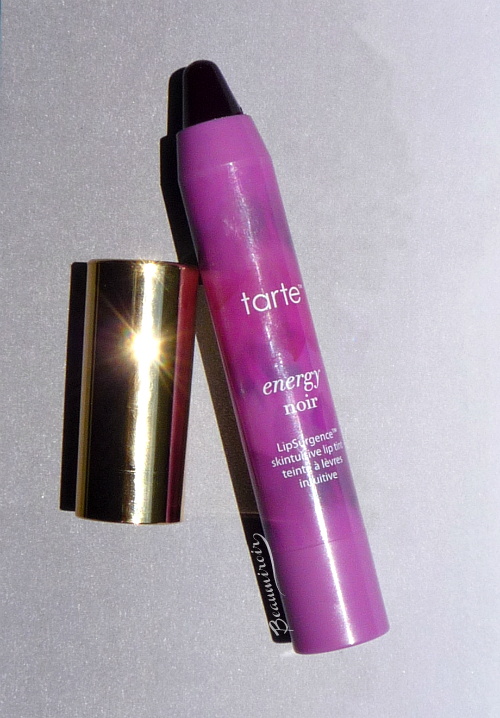 This ain't no "sultry burst of deep berry energy" like Tarte claims! - It doesn't last very long - not surprising considering the balmy texture and how sheer it is to start with. 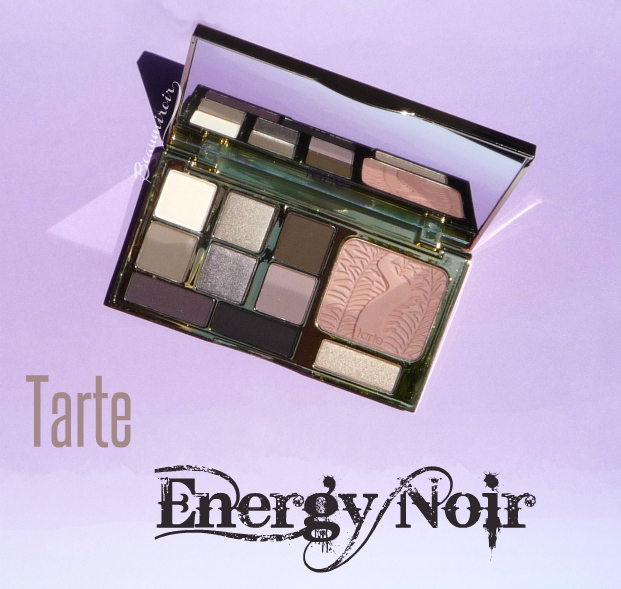 Another "meh" product in the Tarte Energy Noir fall collection... Too bad because it was so promising! 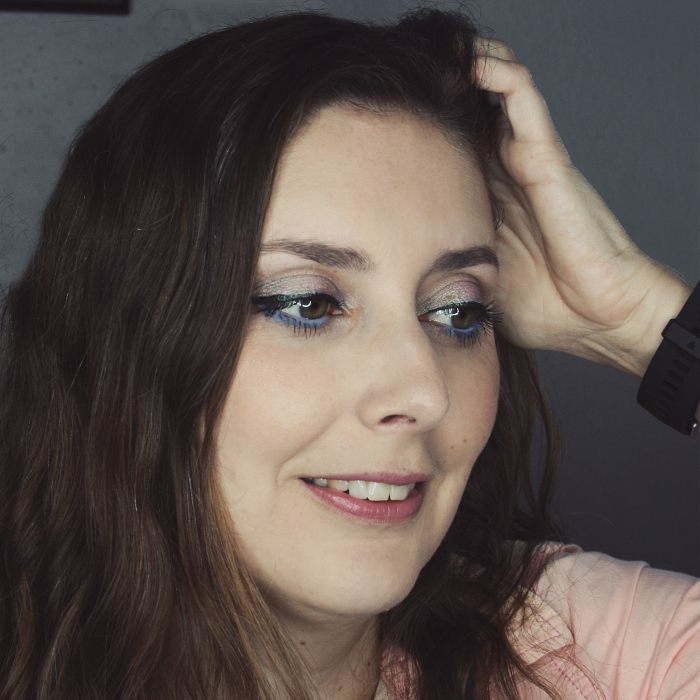 This Lip Tint can work as an everyday color if you work in a conservative environment, or if you'd like to wear a plummy shade but you're a bit shy and prefer to avoid a fully opaque lipstick. It's just not very exciting and at $24 it's really expensive for what you get. 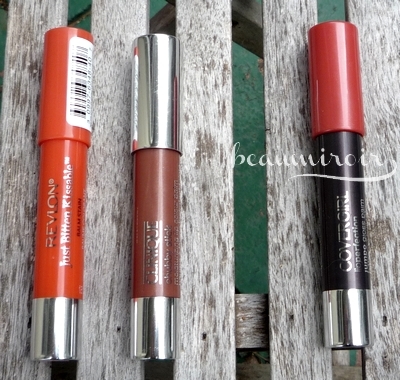 If you do want a sheer plum or purple lip crayon, the Clinique Chubby Stick or the CoverGirl Jumbo Gloss Balm both offer better value.